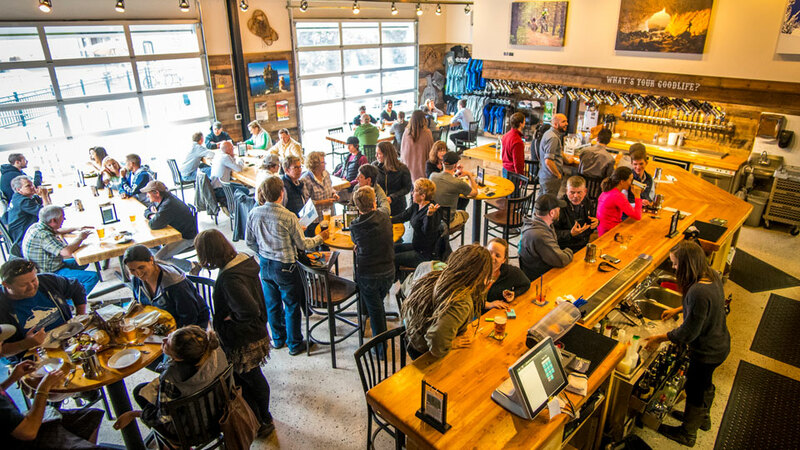 GoodLife Brewing is a tribute to the incredibly good life lived in Bend, Oregon, As they say, “on foot, bike, skis, in a kayak, on a cliff, over a mountain, and under a full moon, our beer makes life better”. Their beers are made with Northwest and select imported hops, quality malts, and highly prized pristine Central Oregon and their trademark products are outstanding, well-balanced beers that are not overly bitter, sweet or heavy. The first Bend brewery to can their beer, they continue to innovate. Capitalizing on the great weather of Bend and peoples’ desire to have a family friendly place to enjoy fresh air, a fresh pint and some outdoor games, they opened their terrific biergarten June through October. They’ve got food carts on site, plenty of comfortable chairs, it’s dog friendly and they’ve got a selection of yard games to keep you entertained. Their bierhall and tasting room is open year-round where you can try Sweet As, a local favorite and part of their flagship series, their Sustainable Series which each benefit a different organization, their Limited Releases and their Single Batch Seasonals.